Marvel vs. Capcom Infinite is here – and here are the characters you can expect to play as from both universes. Marvel vs Capcom Infinite’s launch roster has finally come together, through a variety of official reveals in story and gameplay trailers. A few leaked character names are still floating around that aren’t included in the line-up, so it’s likely we’ll see them as DLC. All of the characters below feature in the game on disc at launch. There’s fifteen for each side, making for thirty total. 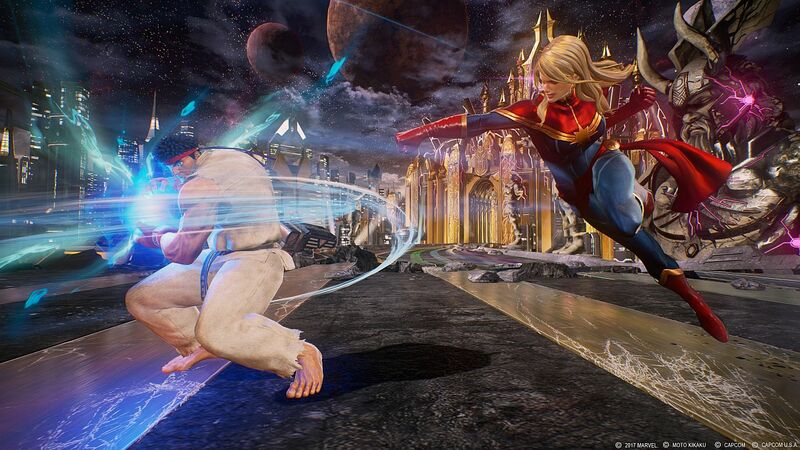 Captain Marvel – Carol Danvers will be soon be joining the Marvel movie universe and is also making her first-time appearance in a Capcom Versus game as well. She’s got projectile attacks and is a speedy attacker. Firebrand – Ghosts ‘n’ Goblins villain and Gargoyle’s Quest star Firebrand (known as the Red Arremer in Japan) returns from MVC3, reprising his role as a strong airborne character. Marvel vs. Capcom: Infinite is going to have a fully-featured suite of DLC characters, starting with six characters that’ll be released between the game’s launch and the end of 2017. Based on character appearances in story mode, official announcements and leaks, we have some idea as to who a few of them are. Black Panther – A newcomer to the VS series roster and recently the cinematic universe, Black Panther is one of a small handful of characters whose in-game appearance had been influenced by the MCU. He’ll be one of the first two DLC characters available, and puts in an appearance in story mode. Black Widow – Black Widow is the last of the ‘original’ Marvel Cinematic Universe avengers not to make it into MVC Infinite, so it’s not surprising to see her arrive as early DLC. She’ll be a Marvel vs Capcom series newcomer. Monster Hunter – A Monster Hunter lass makes an appearance in the story mode alongside Black Panther, and will be showing up as a series first representative in Marvel vs Capcom. Sigma – Aside from merging with Ultron, Mega Man villain Sigma will be coming to the roster as a DLC character – the first of 6. We don’t really have much on him apart from that little nugget.